Formula 1 has had a fair few world championship deciders in its time, but not many have come close to being as exciting as the thriller that unfolded at Interlagos last weekend. After the treat of F1's newest venue in Austin, it was back to what one driver called an 'old school' grand prix track, with the circuit delivering a charm and a challenge that not many places can boast. The garage and paddock facilities may not be state-of-the-art either, but there is something quite pleasant about a paddock that is just a fraction of the size that we get treated to in places like China and Korea. It makes it hard for people to hide, and easy to spot the men who always make a real stir when they turn up in the paddock: Brazilian racing drivers. Even a Hollywood star like Owen Wilson had no chance of getting the kind of attention reserved for Brazilian former world champions Nelson Piquet and Emerson Fittipaldi who were there; while other locals included Rubens Barrichello, Ricardo Rosset, and Alex Ribeiro. 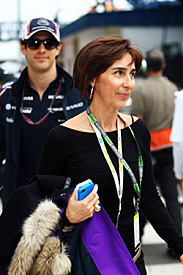 There was a very familiar face down at Williams too, with Bruno Senna's mother Viviane, who is Ayrton's sister, kept an eye out for how her son was doing on track. Any weekend at Interlagos also has something that no amount of money in the world can deliver: totally unpredictable weather. While glorious sunshine greeted teams in the build-up to the weekend, the talk throughout the week was of rain, with it being 100 per cent that the clouds would open on race day. And that is exactly what they did. It helped contribute to one of the most tense and memorable races of recent years – with the world championship fortune swinging between Fernando Alonso and Sebastian Vettel several times over the race. In the end it was Vettel who did enough to clinch his crown, and give his Red Bull crew plenty of reasons to party late into Monday morning. 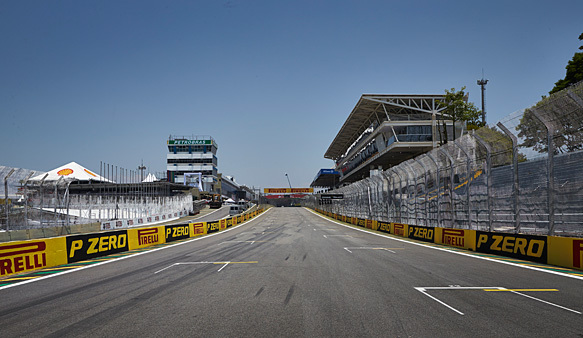 With a thrilling world championship decider at stake, the Brazilian Grand Prix did not have the end-of-term feel that has so often characterised previous final races. 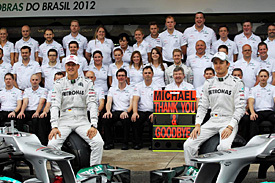 However, that did not stop the paddock acknowledging that it would be the last chance many people would be together until the first race of 2013 in Melbourne, or even ever again. Jenson Button boldly predicted that he was looking forward to a rain-hit Brazilian GP when he hosted his annual British media dinner at a churasceria in Sao Paulo, while elsewhere Mercedes motorsport boss Norbert Haug celebrated his 60th birthday with some of paddock friends on Saturday night. There were a fair few goodbyes over the weekend too. BBC host Jake Humphrey had his last race in front of the F1 cameras before he begins his football sojourn, while Sauber press officer Heike Hientzsch said a goodbye to F1 too. Of course the farewells were not just restricted to paddock people either – because for the drivers the end of the season often marks a big change for them. For some drivers there is great uncertainty – with it possible it could have been the last races of Narain Karthikeyan, Pedro de la Rosa, Heikki Kovalainen, Bruno Senna or Vitaly Petrov. Equally, some of them could be back for Melbourne. Lewis Hamilton could not hide the emotions of his final race appearance for McLaren (for now at least), with a rapturous applause on his last return to the garage during the race, and a 'Thank You McLaren' message on his helmet over the weekend. But, of course, the biggest goodbye was reserved for Michael Schumacher, who for the second time in his career was bowing out of Formula 1. Schumacher admitted that there was a strange feeling to be going through his "final" grand prix for the second time, but equally admitted that this one did feel like the proper last time. The seven-time champion was presented with a special helmet to wear by long-time supplier – which featured the message: "Life is about passions – thank you for sharing mine." What do 391 people, nearly 3,000 laps of Formula 1 tracks and almost 16,000 kilometres equal? Well, it adds up to an amazing $290,000 (USD) for charity after the conclusion of another ultra-successful season of the RunThatTrack initiative. The final run of the season marked the culmination of eight months of great effort from paddock regulars – who helped themselves keep fit, do their bit for the Make-A-Wish Foundation and also tried to come away with a piece of silverware. 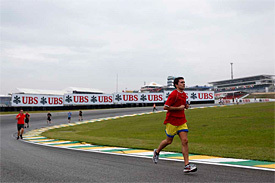 Just managing to get to the finish line in Brazil – with its ultra-steep climb out of the last corner and oxygen-sucking altitude – was an achievement in itself, but no one could stop Nico Rosberg's trainer Daniel Schloesser. Despite a great season-long challenge from Williams test driver Valtteri Bottas and FanVision's Christophe Leitold (who ran an impressive 100 laps over the course of the season), Schloesser's 326 points in the RunThatTrack championship secured him the title, and helped Mercedes beat Red Bull to the constructors' crown. There was more success elsewhere on the grid though, with Marussia taking the trophy (which thanks to sponsor UBS were original Swiss cow bells) for the most improved team over the course of the season – with Lotus earning the 'We Will Not Rest Award' for running the most laps as a team and delivering the greatest charity contribution of more than $37,000. A fantastic effort all around, and in F1's strive to be bigger and better, the paddock's sights must be set on breaking the $300,000 barrier in 2013.